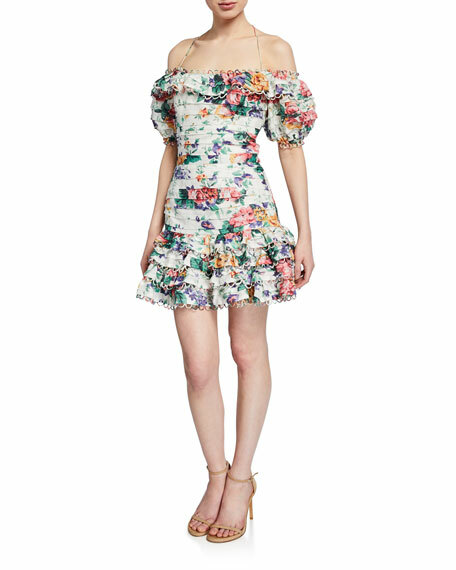 Zimmermann dress in floral-print linen with allover pintucking. Approx. length: 66.5"L from shoulder to hem; 59"L down center back.